Following Nancy Gilgoff’s inspiring workshop in May, Tsutomu Yonashiro (Nancy’s teaching assistant) will be leading 2 workshops in Niseko in July. Tsutomu will be leading Daily Ashtanga Yoga Sessions on 6, 7, 8 July; 11, 12 July, and a special Introduction to Ashtanga Yoga Workshop on 9 &10 July (open to all levels). The daily sessions – Morning Mysore sessions for individualised practice and personalised attention to each person’s abilities and needs, and Evening LED classes and to allow practitioners to move through a guided practice of the Primary Series. The sessions are open to beginners who are new to Ashtanga, as well as practitioners of all levels to deepen their practice. Note: You can drop in between these hours, and practice for any amount of time you’d like. You’ll receive personal guidance from Tsutomu, according to your individual level of practice. Tsutomu will gently guide you through the sequence. For more experienced practitioners, you’d be able to practice both 1st and 2nd series during the Mysore sessions. Experience a summer yoga weekend with 2 great yoga teachers! The workshops are a great way to learn the fundamentals of a rejuvenating, balanced practice – one where you could integrate into your daily practice at home! Start your day with the Introduction to Ashtanga workshop with Tsutomu Yonashiro where you’ll learn the fundamentals of the Ashtanga practice, as well as build a solid foundation of the dynamic practice by linking postures (asanas) and the breath. This invigorating and inspiring workshop is open to practitioners of all levels – from someone who is stepping onto the mat for the first time (or in a long time), to an experienced yogi who is looking to deepen their practice. Ease into the afternoon with a gentle and enriching Yoga and Mindfulness Workshop with yoga and meditation teacher Lisa Pollard, where you’ll learn about the importance of mindfulness, and how you are able to embrace it both in your yoga practice and your everyday life. 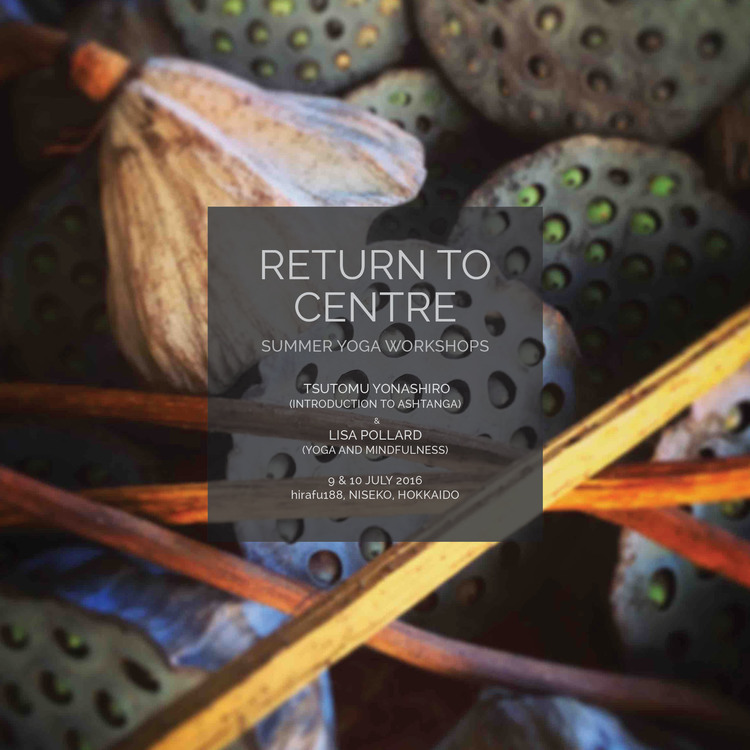 This workshop is a great way to complement the more dynamic Ashtanga practice. Lisa will show you how you could use yoga and meditation to work on your deep connecting tissues, and to restore the body and mind. Lisa will guide you through a mindful yoga practice, restorative yoga, and guided mindfulness meditation. Each session will be an inward journey and an unfolding experiential exploration of embodying your practice.